Sir Nevill F. Mott won the Nobel Prize in Physics in 1977, alongside Philip W. Anderson and John H. Van Vleck, "for their fundamental theoretical investigations of the electronic structure of magnetic and disordered systems." Additionally, his work at the University of Bristol and Cambridge University advanced the field of physics. September 30, 1905Birth, Leeds (England). 1927Obtained BSc degree, St. John's College, Cambridge University, Cambridge (England). 1929Lecturer, University of Manchester, Manchester (England). 1930Obtained Master's degree, St. John's College, University of Cambridge, Cambridge (England). 1930Fellow and Lecturer, Gonville and Caius College, University of Cambridge, Cambridge (England). 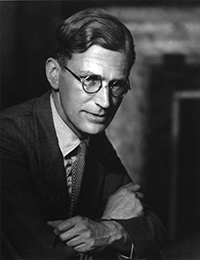 1933 – 1971Chair of Theoretical Physics (1933); Henry Overton Wills Professor of Physics and Director, Henry Herbert Wills Physical Laboratory (1948-1954); Cavendish Professor of Physics (1954-1971), Bristol University. 1941Awarded Hughes Medal, Royal Society. 1951President, International Union of Physics. 1953Awarded Royal Medal, Royal Society. 1959Master, Gonville and Caius College, University of Cambridge, Cambridge (England). 1965Began Nobel Prize winning research regarding electronic structure of magnetic and disordered systems. 1965Chairman, Pugwash meeting, Cambridge (England). 1972Awarded Copley Medal, Royal Society. 1977Awarded Nobel Prize in Physics alongside Philip W. Anderson and John H. Van Vleck, "for their fundamental theoretical investigations of the electronic structure of magnetic and disordered systems". August 8, 1996Death, Milton Keynes (England). Received 1977 Nobel Prize along with J. H. Van Vleck for "their fundamental theoretical investigations of the electronic structure of magnetic and disordered systems." Advised by Mott at University of Bristol. Collaborated with Mott on "Electronic processes in non-crystalline materials." Advised by Mott at Cambridge University. Collaborated with Mott on "Electronic processes in ionic crystals." Collaborated with Mott on "The theory of the properties of metals and alloys." Collaborated with Mott on "The theory of atomic collisions." Collaborated with Mott on "Wave mechanics and its applications." Received 1977 Nobel Prize along with P. W. Anderson for "their fundamental theoretical investigations of the electronic structure of magnetic and disordered systems." Chair of Theoretical Physics; Henry Overton Wills Professor of Physics and Director, Henry Herbert Wills Physical Laboratory; and Cavendish Professor of Physics. Awarded Hughes Medal (1941), Royal Medal (1953); and Copley Medal (1972). Received BSc (1927) and Master's Degree (1930). Nevill F. Mott corresponce with Rudolf Peierls. Oral history interview with Sir Nevill Francis Mott, 1981 Janurary 15 and December 30. Oral history interview with Sir Nevill Mott, 1974 November 1. Press conference with Sir Nevill Mott and Philip Anderson after they won the Nobel Prize [sound recording] / 1977 March. Sir Nevill Francis Mott papers and correspondence, 1902-2003. The beginnings of solid state physics [sound recording] : a symposium / organized by Sir Nevill Mott, held 30 April - 2 May 1979. The education of physicists between the wars [sound recording]: by those who were eductated them / 1985 October 30. The Origins of Solid State Physics in Italy: 1945-1960 conference proceedings [sound recording], 1987. George and Barabara Gamow papers, 1915-1975 (bulk 1950-1975). Ivor Evans papers and correspondence, 1941-1978. Niels Bohr correspondence, supplement, 1910-1962. Oral history interview with Frederick Seitz, 1981 Junrary 26, 27, March 24, and 1982 March 16. Oral history interview with Geoffrey Burbidge, 1977 Obtober 21. Oral history interview with Humboldt Walter Leverenz, 1979 July 10. Oral history interview with Luigi Giulotta, 1982 December 7. Oral history interview with Robert Jospeh Maurer, 1981 December 22. Philip M. Morse autobiographical data, circa 1962. Sir Rudolf Earnst Peierls papers and correspondence, 1898-1996. Symposium honoring the 1977 Nobel Prize in physics recipients [sound recording]. The Princeton years and beyond, 1930-1940: Invited paper for the American Physical Society, 1992. A life in science / Nevill Mott. Electronic processes in ionic crystals, by N.F. Mott and R. W. Gurney. Electronic processes in non-crystalline materials / by N.F Mott and E. A. Davis. Sir Nevill Mott: 65 years in physics / editors, N.F. Mott & A.S. Alexandrov. The Beginnings of solid state physics: a symposium / organized by Sir Nevill Mott, held 30 April- 2 May 1979. The theory of atomic collisions, by N.F. Mott and H.S.W. Massey. Wave mechanics and its applications / by N.F. Mott and I.N. Sneddon. Nevill Francis Mott Physics Today obituary. Nevill Mott : reminiscences and appreciations / edited by E. A. Davis.